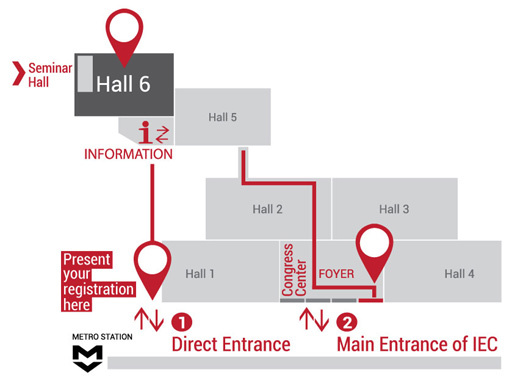 FOR YOUR FACILITY, USE THE DIRECT ENTRANCE TO HALL 5 JUST INFRONT THE METRO STATION (see map). There will be other exhibitions during the same period (halls 1,2,3,4) where the entrance is with tickets. The printed copy of your online registration will be your free pass. Sofia Airport provides daily flights to main European cities and offers all additional services for your trip.